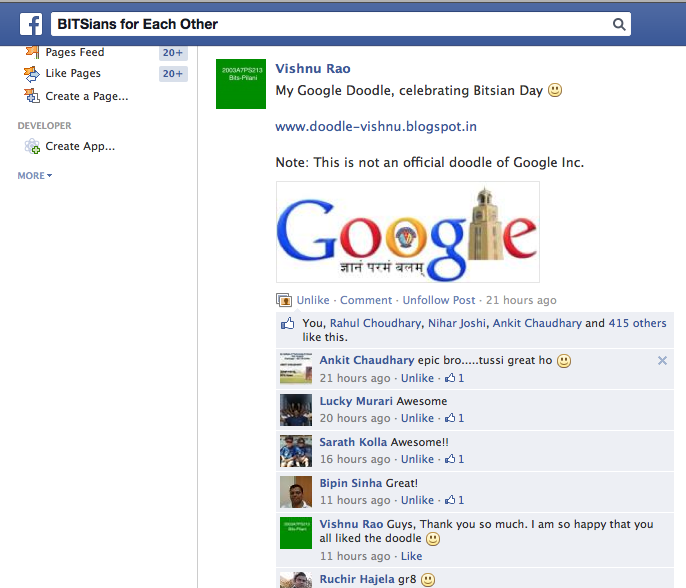 i am SO HAPPY to share with you that this Doodle has received 400+ Likes on Facebook Bits page (BITSians for Each Other) . The L is taken over by the Old Clock tower at Pilani Campus and the O at the center has the Bits Emblem with its motto below which means ‘knowledge is supreme power’. Note: This is not an official doodle of Google.